Regents had two winners in the Daughters of the Republic of Texas (DRT) Texas History Essay Contest — 7th grader Lindley Bryant and 4th grader Isabelle Hoyle. Lindley’s essay also won at the district level. Lindley and Isabelle recently read their essays at the chapter meeting and did a stellar job. 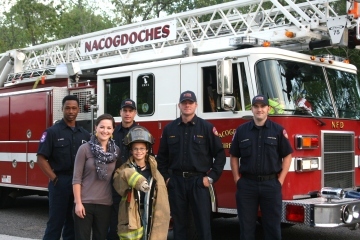 Pictured along with the ladies of the DRT is Mrs. Nicole Alders, who helped our students do such a great job. 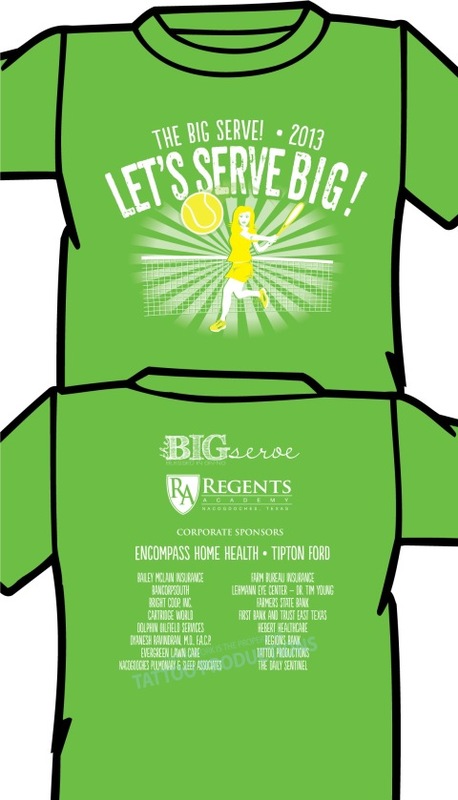 The BIG Serve is coming up this Friday. 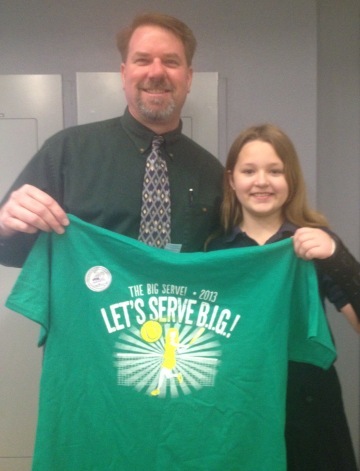 Congratulations to 4th grader Sophie Jordan, whose tennis-themed design won the BIG Serve t-shirt design contest. Here she is, pictured with her shirt. 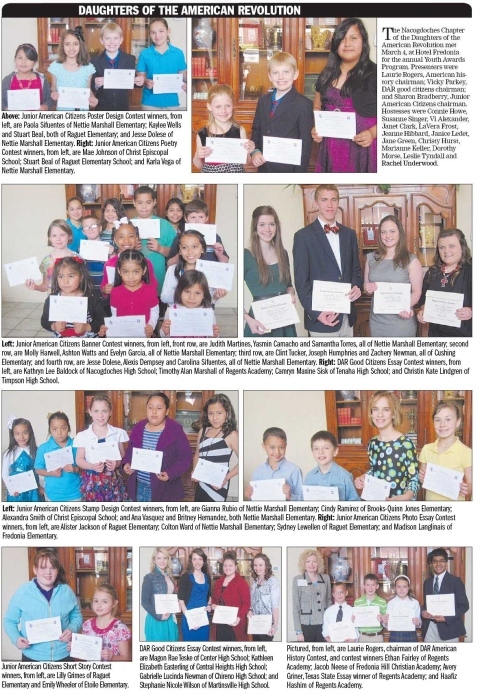 The Daily Sentinel recently featured the winners of the Daughters of the American Revolution contests, who were honored at the DAR luncheon in March. Congratulations to Tim Marshall, Ethan Fairley, Avery Griner (state winner! ), and Haafiz Hashim. 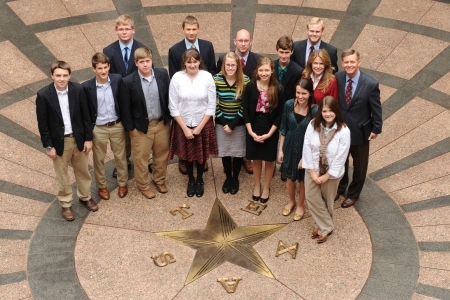 Thanks to our friend Hardy Meredith, who took this lovely picture of our 9th and 10th graders, who served as pages in the Texas Senate in February. The picture was taken in Austin at the Capitol Extension courtyard. 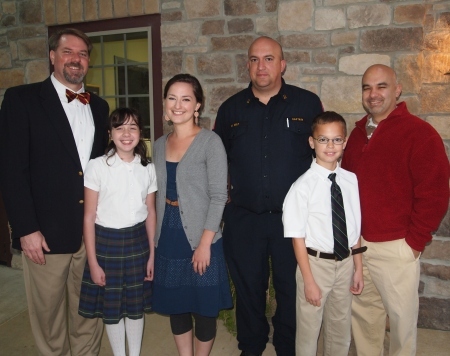 Also pictured are Lance Vermillion, Daniel Alders, and David and Nicole Alders. 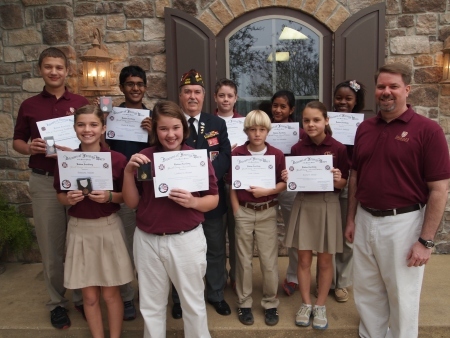 Veterans of Foreign Wars (VFW) Post #3893 Commander Don Kirkley recently presented Regents Academy students with certificates and medals for their participation in this year’s contests. Patriot’s Pen essay contest winners included Lindley Bryant (1st place), Haafiz Hashim (2nd place), and Emma Terrell (3rd place). High school student Caleb Henry placed third in the Voice of Democracy audio essay contest for the area. 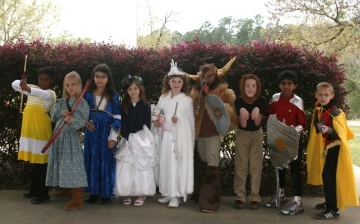 Pictured from left are (front) Emma Terrell, and Lindley Bryant; (middle) Caleb Henry, Haafiz Hashim, Don Kirkley, Isaiah Bertke, and Avery Griner; and (back) Jake Hill, Mali Dachelet, and Carleona Johnson. Four Number One’s and Second Place! Congratulations to the four Regents students who competed at the TAPPS State Music Competition at the University of Mary Hardin-Baylor last weekend. 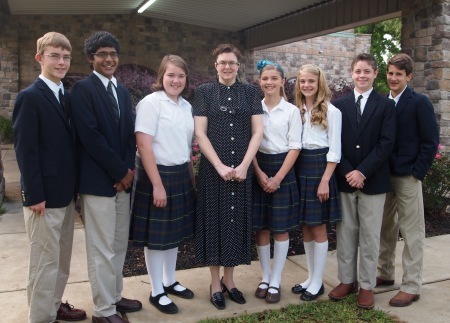 All four students earned a rating of 1 — the highest possible. 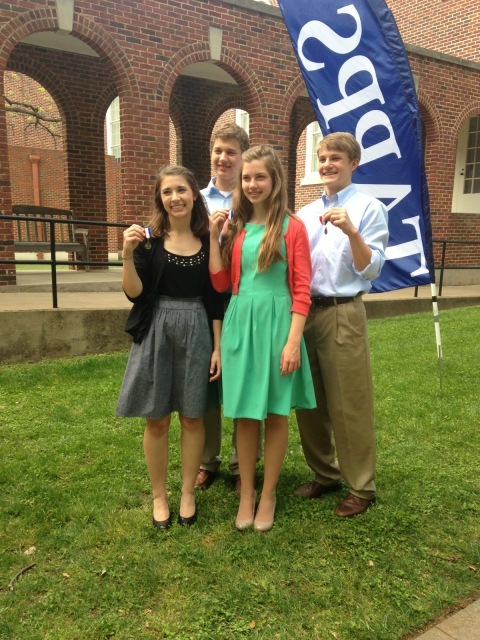 With just these four students, Regents won 2nd place in state! The four musicians include Miranda Kunk, Caleb Henry, Kyle Alders, and Sam Alders. 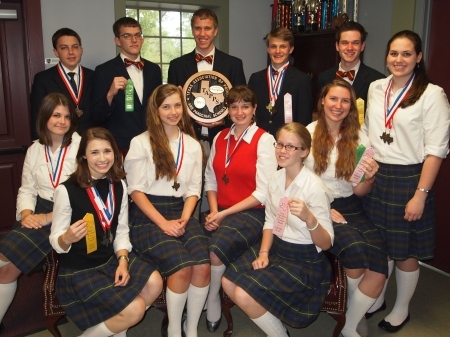 The Regents Speech and Academics Team won the TAPPS 1A championship on April 5-6 at Concordia University in Austin, Texas. The team competed against 29 other teams. Our 12-member first-place team scored 96 points. (By comparison, the second place team brought 21 students and scored 73 points.) Among our team’s many accolades, three students won first place in their categories, including Persuasive Speaking, Original Oratory, and Calculator.